What they don’t like about Japanese market is that the growth is lower than other Asian markets. According to the report, Japan has a yield of about 3 to 5 percent, which is not very high. It’s now largely stabilized. In developing Asian countries investors can expect something like 6 to 8 percent. Those countries obviously have hotter economies thanks to a younger population and the increased income of the people. 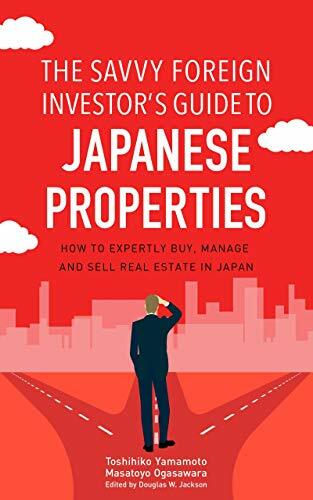 The report also says investors are put off by the lack of information about the Japanese real estate market. Despite the size of the Japanese market—it’s the third largest in the world, and accounts for about 3 to 4 percent of the country’s gross domestic product—99.9 percent of the information is in Japanese. For example, official questionnaires the MLIT conducts about land issues on the Internet are only in Japanese. Translating everything into English or other languages is too time consuming and troublesome, especially all the industry terms. The MLIT issues maybe a hundred official reports a year, so even the most serious and committed overseas investors can’t be bothered to do them all. The ministry may pick one or two very important reports and translate them into English, which are on their website as well. Very few industry professionals are producing timely information about the property market in English for the public, such as how political results will affect it. Even major firms such as Mori Building are not really distributing such information in English to the overseas market. So overseas investors don’t like that lack of information, or the very limited tax benefits. The purpose of my blog is to report on such issues as they arise, since that knowledge could be beneficial to our clients overseas. Institutional investors started getting interested in the Japanese market about twenty years ago. The majority of them are staying in the Japanese market. Investors indicate that they overwhelmingly prefer Tokyo first and then Osaka and Nagoya, followed by Sapporo, Sendai and Hiroshima. Everybody loves Tokyo. Institutional people prefer to buy an entire building in front of Tokyo Station, for example.